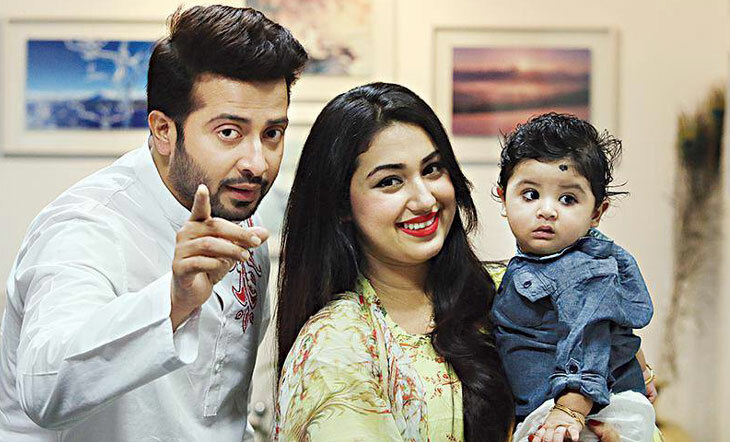 The issue of secret marriage between Apu Biswas, a prominent heroine of Dhaka film industry and Shakib Khan, a leading artist of the same film industry, came to light on April 10 of this year. Rumors went on that the marriage will not last long, and finally, the rumor comes into reality. Rumors spread that Apu- Shakib family is in deep trouble and they might get divorced shortly. A divorce letter has been issued to Apu Biswas, a noted film heroine of Bangladesh. But she did not receive the letter. Sources from her counterpart confirmed the matter. Both the film stars got married on April 18 in 2008, secretly. They were blessed with a baby boy in 2016. The secret marriage fact was exposed by Apu Biswas during an interview with the media this year and Shakib also admitted the fact. However, the relationship between the artists as husband and wife suffered a critical condition after it was exposed. And now the relationship ends with a divorce.